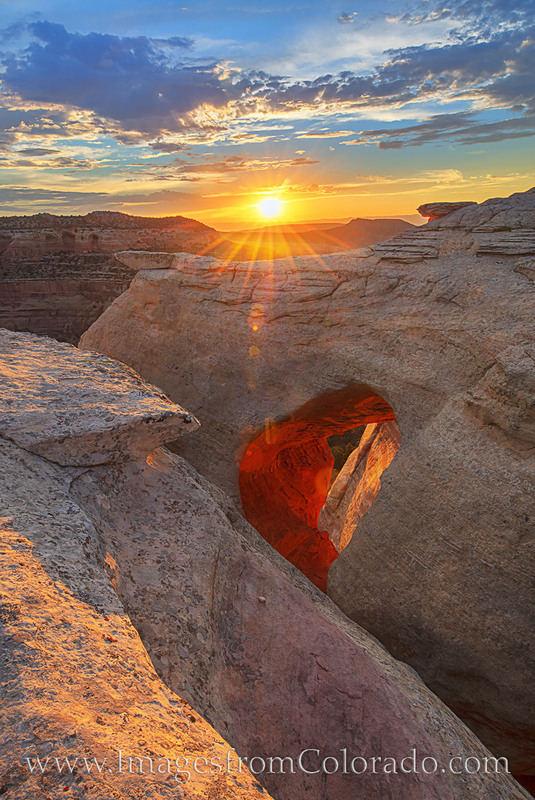 The arches of Rattlesnake Canyon go by many names. This could be “the Eye,” or “the Heart” or several or it could be called by other monikers. I’ve seen it also called “the Furnace,” and that is a name that seems to fit. For a month or so each year, the setting sun shines in a certain angle, thus illuminate the inner sandstone of this arch. This image, taken in July, shows the glow of the orange rocks far below where I was standing. When post processing, I actually had to desaturate the heart of this arch just a bit because it was so bright.